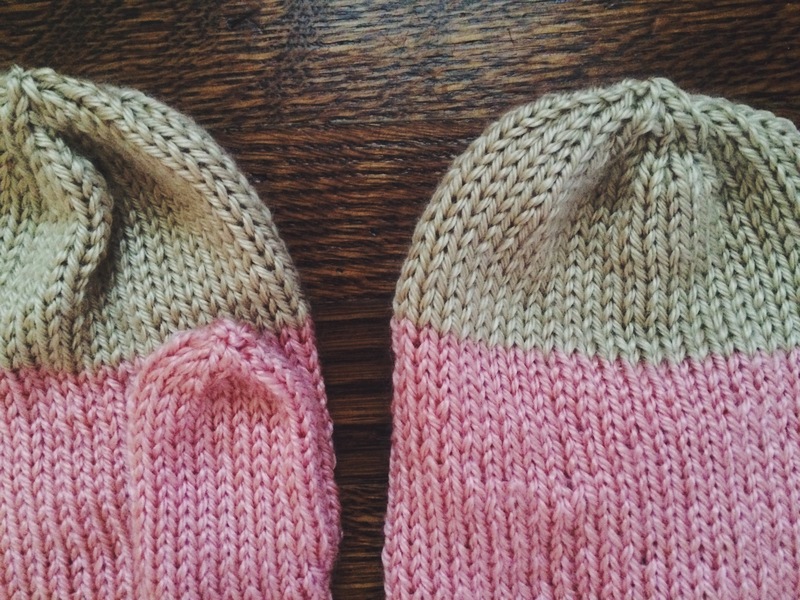 Knit: Candy Coated Mittens – Yarn, Things, Etc. I feel like every day of the holidays has been a fine balance of eating and knitting– perhaps a little too much eating, but ’tis the season, right? Actually I’ve been bed-bound for most of it with a really nasty cold. When life gave me lemons, I knit a pair of mittens. I didn’t really have a plan with the colour scheme, but they ended up looking like salt water taffy. Any project that I can name after candy is a-ok in my books. 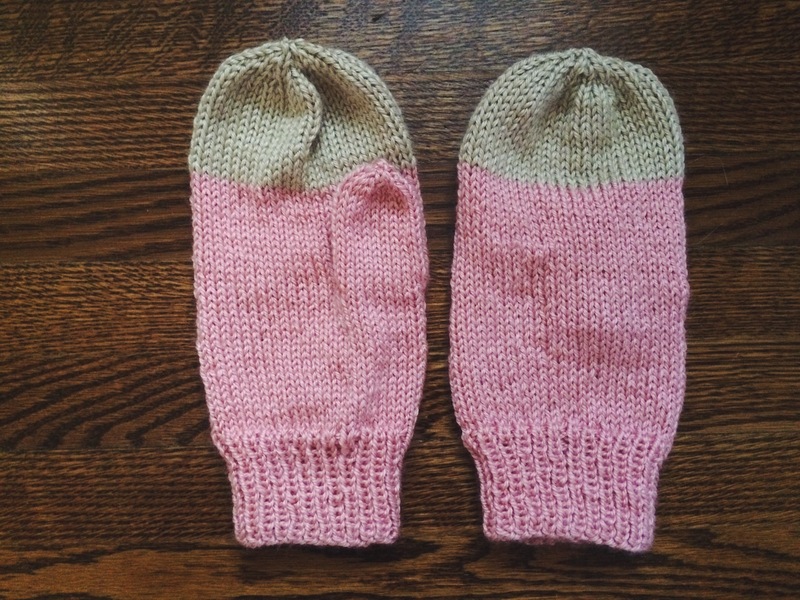 Even though the pink yarn gave me some grief, these mittens ended up being one of my favourite projects of December. I suspect the pink yarn is baby yarn (I received it on Christmas without the label). I would recommend using something a bit heavier, such as the Caron yarn I used for the beige top. Rows 66-67: Start decreasing- *Row 66: K2tog, Row 67: K. *Continue until only one stitch is left on each needle. Weave the tail through the last 3 stitches and insert tapestry needle inside to finish. Thumb: Replace the stitch holder or safety pin with a needle; add another 13 stitches across 2 needles (weaving yarn throughout existing stitches around the open thumb hole) and knit for 15 rounds. Decrease the thumb: K2tog on each needle until 1 or 2 st is left on each—weave the tail through the remaining stitches and insert inside). *Note, 13 stitches will make decreasing less smooth. Simply add one more stitch for a bigger thumb or K1 and K2tog for all remaining stitches.